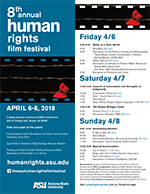 Each year Human Rights at ASU sponsors a film festival to engage ASU and the greater community in a discussion of human rights issues through film. 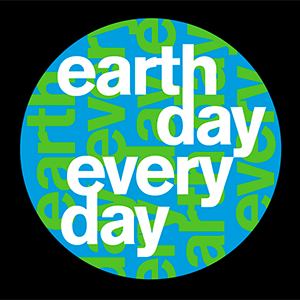 This year’s three-day festival will be held April 6-8. Admission is free and refreshments will be available. All sessions will be held at College Avenue Commons Auditorium on the Tempe campus. This event is cosponsored by the Schools of Social Transformation, Sustainability, International Letters and Cultures, and American Indian Studies, the Sandra Day O'Connor College of Law's Indian Legal Program as well as AZ Humanities, United Students Against Sweatshops at ASU, Defend Our Future, and Amnesty International ASU.